ERIC GARCIA is an internationally bestselling novelist and screenwriter, behind such books and films as the Ridley Scott-directed MATCHSTICK MEN and THE REPOSSESSION MAMBO, which was made into the film REPO MEN, starring Jude Law and Forest Whitaker. His comedy noir ANONYMOUS REX series (Anonymous Rex, Casual Rex, Hot and Sweaty Rex) was made into a TV movie, and his novel CASSANDRA FRENCH’S FINISHING SCHOOL FOR BOYS is in development as a TV series, which he is writing and executive producing. He is presently at work on his next novel. As a screenwriter and producer, he is currently in post-production on the Brian Cox-starring psychological thriller THE AUTOPSY OF JANE DOE, and in preproduction on his adaptation of John Searles’ STRANGE BUT TRUE. He lives in Southern California with his wife, 2 daughters, and more pets than are probably necessary. I’ve been very fortunate to have a career as a working writer, which is good because I don’t have any particular skills that lend themselves to anything else. I guess I cook relatively well, but if you threw me onto a line in a professional kitchen I’d be bleeding and scalded within minutes. I used to be a fairly proficient guitar player but nobody wants me in a studio. Oh, I’m crackerjack at hunting down random things on the internet. Does that count? Does that pay? These days, I work primarily in film and television as a writer and producer, though I began as a novelist and continue to work in that world, as well. My actual projects depend on the day, factored in order by what’s most pressing, what’s most interesting, and what randomly seems like it might be fun to try out. Well, my first job ever wasn’t writing-related at all—it was teaching test prep for Kaplan. This was right after college, and I needed a gig while I worked on my first novel. Fortunately, my wife graduated from college a year after me and went into teaching, which, along with parental assistance, helped pay the bills. 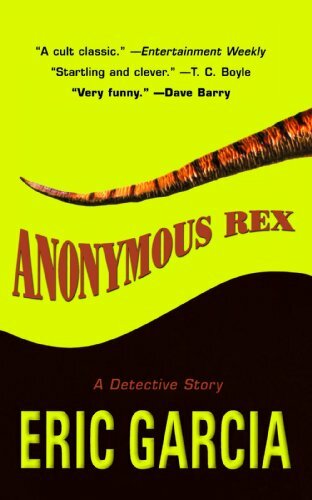 My first writing-related gig came when I sold my first book, Anonymous Rex, a few years after I graduated. I’d been working on it for a year or so, showing it to a few friends here and there, getting notes, rewriting, making tweaks, and then left it in a drawer for a couple years. Finally, on advice from a friend (the classic “it’s not doing anybody any good sitting in a drawer”) I decided to find an agent. Since the book was… odd… I figured I’d have my best shot at finding someone who also repped other odd bits of fiction, so I went through my bookshelf and picked out the books I thought fit my style the best. I then called the publisher of each and finagled my way into finding out who the agents were (sometimes I’d ask for the spoken word rights, which are usually reserved by the author). Got a list of five different agents who repped the various books, sent out some queries with a sample chapter… and waited. From there, I continued writing novels while slowly getting into screenwriting, starting with the script for the Anonymous Rex TV pilot (which eventually got shot a few years later as a 2-hour backdoor pilot for SyFy, rewritten by a different guy), and then slowly transitioning into a half-and-half career as the screenwriting started to take up more of my time. So I accidentally lied on that last question—my first paying job was not teaching test prep. I had two paying gigs when I was a kid that were both tangentially writing-related. First, in sixth grade, my friend Josh and I would dress up as Alvin and Theodore Chipmunk (Simon was “sick at home”) and do rockin’ birthday party entertaining for younger kids. We wrote the scripts ourselves, workshopped them as we got feedback, and made some cash while having a great time. I still do an excellent chipmunk impression, by the by; ask me about it if you meet me. Or maybe I’ll Vine it one of these days. My second job, also writing-related, came about summer of my junior year of high school, when my friend Mark and I created a business called Up A Creek. Keep in mind, this was Miami in the late 80s, so there were old people and VCRs in abundance (and cocaine, too, I guess, but that’s not germane to this story), which meant that there were a lot of elderly folks who had no idea how to set up and program their equipment. We’d put out flyers, they’d call us, and we’d go to their homes, set up their devices with big bright stickers we’d place over the various buttons, and I’d write each one a customized manual on how to do whatever it is they wanted done—record their favorite soap opera, set a weekly reminder, etc. It was technical writing of a very simple sort, but more than anything else it helped teach me the need to be clear, specific, and concise (and, fine, I clearly haven’t learned the ‘concise’ part well, but cut me some slack here). I’d always planned on being an English major, and that was my intent when I went to Cornell. The English degree there had a lot of interesting core classes with some fascinating higher-level writing courses and workshops as well—but I ended up leaving Cornell during the winter of my junior year to transfer to USC. This was partially to join the USC Film program, as I’d decided that I wanted to get an education in screenwriting as well, but also because I simply couldn’t take the oppressive winters at Cornell any more. I was born in the tropics, I live in the desert. I need my sun. So at USC I was a Film major for a bit—before pivoting back to English, partially because I decided that I wasn’t all that interested in the technical aspects of filmmaking, and partially because T.C. Boyle was teaching the upper-level workshops for English/Creative Writing majors. I’d always been a huge fan of his work and was excited to have him as a mentor. His advice and guidance led me back to prose, and without a doubt set me back on a path to writing novels. My freshman year at Cornell, I’d been in an improv group called the Whistling Shrimp, but soon felt the call toward what I really loved, which was sketch comedy. Having been a huge Python/Second City/SNL fan for many years, I was missing the snap of a perfectly planned and executed scene. So I formed Cornell’s first sketch comedy group, called—probably unfortunately —the Skits-O-Phrenics. Yes, I’m aware the name is insensitive at best. Yes, as a student I was adamant that we not change it. Yes, I look back on it now with an eye-roll. But: we were all responsible for writing our own sketches, then bringing them in where we’d talk them out, refine them as a group. Sometimes they’d go up, sometimes they’d get trashed, sometimes they’d be reworked into something completely different. But we made sure they worked before we put them up on stage. If the experience did nothing else, it taught me the benefits of collaboration—especially when you don’t always agree with everyone else in the group. How to navigate those waters, how to take conflict and make it benefit of the work. That’s something I do every single day in the film/tv world (and to some degree as a novelist, though that really is a much more solitary profession until the editors get involved). Also, while I was at USC, I interned at production company called The Ruddy Morgan Organization, headed by Godfather producer Al Ruddy and his producing partner Andre Morgan. I started by answering phones and making coffee (which I only did twice because I was terrible at it, and they preferred another intern take over), and moved up to reading scripts, writing coverage, and doing whatever else they thought I might be good at. During the years that I worked at RMO (a summer and a year as an intern, then a year as a part-time paid hire), they produced a number of features, and it was fascinating to watch the process from beginning to end. The failures were probably even more instructive than the successes—how does something go from a fantastic 120 pages of paper to turn out… as something less? And this, meanwhile, under the guidance of a fantastic producer like Al. Some of it was in the writing, no doubt; some of it was in the filmmaking. Some was just the process itself. Finally, I also took the time I had during college and just wrote. 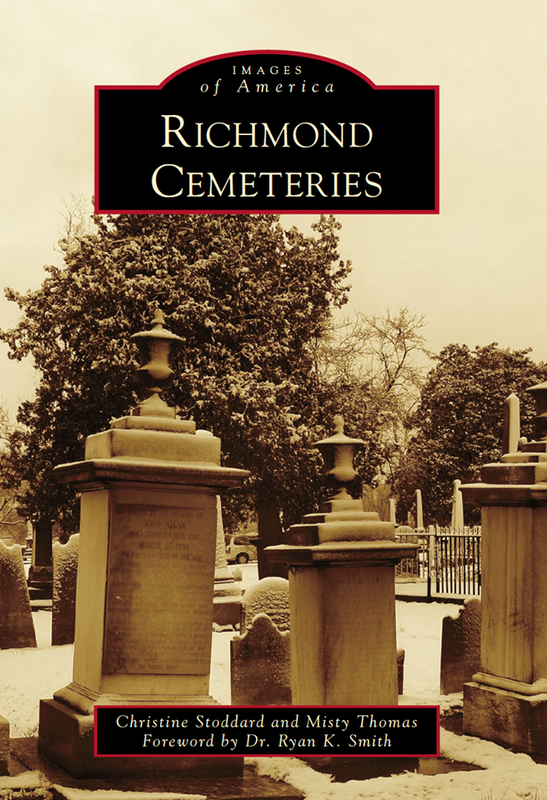 Mainly short stories, a few scripts, but the point was that I felt like I had time to just write and not worry about the rest of it. I always felt older than I was, was always worried that time was passing me by—that’s my own personal anxiety folder—but I knew that college was a time when I could find my voice and get down on paper (mid-90s—we still printed things out) whatever I wanted to without fear of judgment or loss. Write, write, write. Don’t stop writing. I know, everyone says it, but that’s because it’s true. Whoever you are, whatever your age and station, find time to write about whatever interests you. DON’T WORRY ABOUT SELLING IT. That will come. If I worried about selling my work when I started, I would have ground down all the weird, oddly-shaped edges—and I believe it’s the weird, oddly-shaped edges that sold it in the first place. The projects that have done the best for me have been those that I’ve created as a labor of love; the commerce came afterward. Immerse yourself in a bunch of different worlds, by the way. As a typical English/Theatre geek I took a lot of literature and drama courses, and assumed I wasn’t all that interested in science—but when I had to take a science course to satisfy some core requirements at USC I was fascinated and have now become quite the lay-science nerd—my feeds and flipboard are filled with subs and follows of all sorts of science-related matters—and I incorporate ideas I find in those subjects into so many of my projects. Obviously, I’ve been fortunate enough to use my English major as a foundation for what is clearly a writing-heavy career—but I really can’t stress enough how important I feel an English degree is to nearly any career that’s not specifically technical or engineering-realted. Proper communication is key in every aspect of every job out there—and in this day and age, written communication is more important than ever. Plus it’s fun. Did I mention that it’s fun? You can follow Eric Garcia on Twitter. Posted on April 13, 2016 by Alyssa W. Christensen and filed under Writing, Screenwriting and tagged Screenwriting Film.